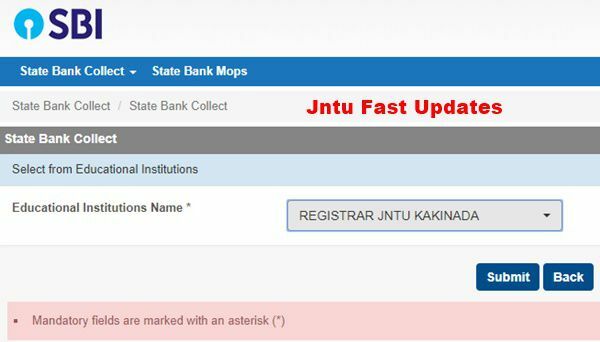 JNTUK Transcripts Apply Online: Jntu kakinada Transcripts Apply Online Procedure mention below. 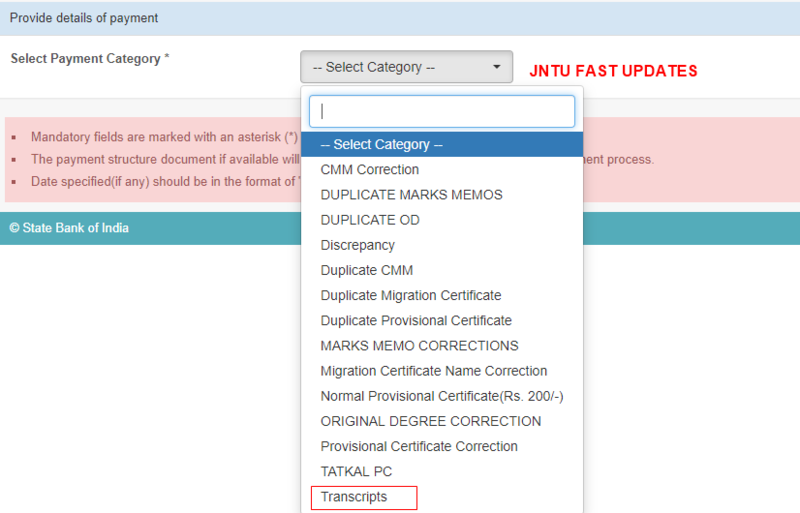 Candiates can download Transcripts Aplication form For UG/PG at jntukexams.net. Step-1:- This application is meant for The candidates who are passed outs/studying from Jawaharlal Nehru Technological University Kakinada applying TRANSCRIPTS. Step-3:- The total amount (No of Transcripts *45) can be paid either by making online Payment (using Master/Visa Credit/Debit (ATM) cards) or by making the payments at any branch of SBI. Step-5:- After total fee Payment ie (No of Transcripts *45 rs), take the print out of payment details and submit along with transcripts application form and the copies of the certificates for which transcripts are required dualy attested by the principal of the college to the University Examination Section by Concernd applicant only. 3) After payment the student only has to submit the printed payment reciept, xerox copies of certificates attested by principal, Identity proof to the university examination section for issue of signed transcripits. Did you got his transcripts, if yes could you please let me know the process. Can anyone explain me what is a transcript ? How it is used ? I have forgot to take a printed copy of transcripts.Is it possible to reprint again.If yes how?? 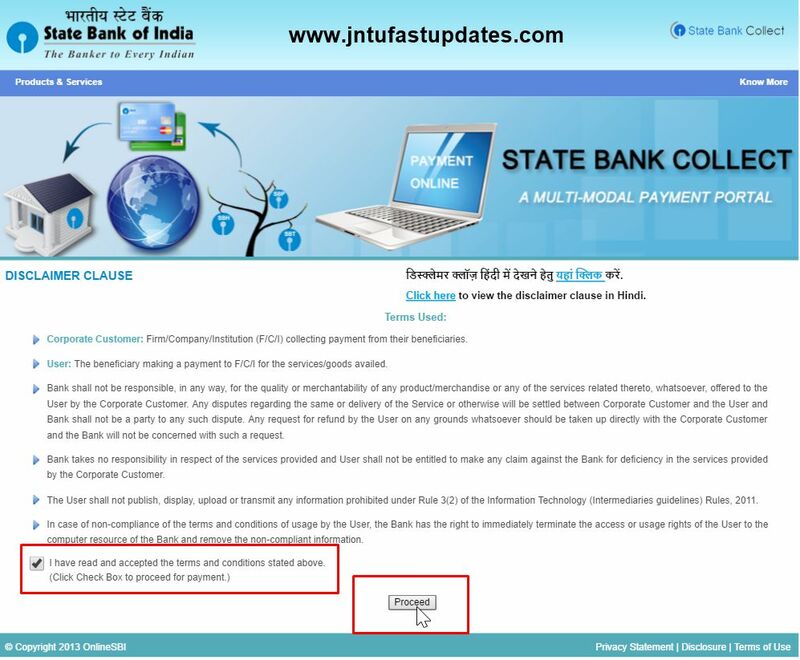 This is online process for Bank payment only but not Application process. Title is misleading the context. Do you know the actual page for applying for transcripts after making payments? I could not find it anywhere. I am residing outside India and finished my B.Tech from JNTUK affiliated college in May 2017.I need signatures for my transcripts. Can my brother come and apply for the same? Have you received any update on this? Do one have to submit the copies in person? u dont need to be in person for applying anybody can do that for u.